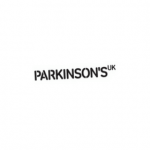 Parkinson’s UK is a support and research charity dedicated to finding better treatments and improving the understanding of Parkinson’s disease, a progressive neurological condition, and its causes. The charity offers support and information to people affected by Parkinson’s, their families and carers through a network of 350 local groups across England, Wales, Scotland and Northern Ireland. While they were in the process of implementing a new Human Resources platform, Parkinson’s UK were looking for a temporary solution to allow staff to capture their objectives for the year in one place. They needed a solution which was simple to create and even simpler for staff to use, requiring no training. The initial assumption was that the answer would be a customised SharePoint application but when Ballard Chalmers was approached, it was suggested that Microsoft PowerApps could be a great solution. 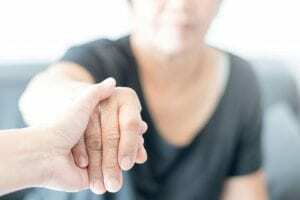 The ability to easily connect with a SharePoint list, embed the form on a web page or SharePoint page and potentially the ability to use a mobile app was key for Parkinson’s UK to agree to proceed. An initial short call to review the requirements was all that was needed before a day of development to create the core part of the solution. The PowerApps solution automatically recognises the user, but also allows him/her to submit their line manager, role and cost-centre to help improve the data quality. Users are able to then add up to seven objectives, with a description and target date for each one. The form is very simple and easy to understand with large bold icons and typeahead for all user lookups. It demonstrates the ability of PowerApps to quickly meet requirements and deliver a simple to use application in very quick time that can be supported simply and deployed in minutes. Once the initial development was done, a meeting was held at Parkinson’s UK offices to review the application and make some small changes to best meet the users’ needs, such as including the staff member’s department in the extract from the SharePoint list, which came directly from Active Directory. The PowerApp was then embedded to a SharePoint Communications Site to maximise the real estate of the screen for the application and rolled out to all staff for the start of 2018. From initial engagement to full delivery only required two days of consultancy from Ballard Chalmers. If you would like more information about Parkinson’s UK visit www.parkinsons.org.uk.